Here at Vida & Estilo (V&E) Restaurant Group, we’re happy to announce a new addition to our family of much-loved eateries in Miami Beach. In August, we opened the very first U.S. branch of our La Cerveceria de Barrio restaurant chain, which includes a number of locations in Mexico. We know you’re going to love the culinary experience at La Cerveceria de Barrio Miami, sure to become one of South Beach’s new go-to dining hotspots! La Cerveceria de Barrio Miami serves as a casual Mexican cantina with an emphasis on the bounty of the sea. For the first time, Miamians and any and all visitors to this Gold Coast metropolis will get to enjoy the zesty seafood dishes for which La Cerveceria de Barrio is so celebrated south of the border. Our regular menu comes overloaded with highlights: too many to do justice to in one blogpost, but we’ll try to give you some idea of the gastronomic scope and focus here (and in doing so pretty much inevitably whet your appetite). What about our Mexican Clam Chowder, for instance, or the lavish Cerveceria Seafood Platter in the Raw Bar corner of our menu? Or perhaps you’d like to sink your teeth into our succulent Caribbean Sashimi, or excite your taste buds with the shellfish splendor of our Aguachiles offerings: shrimp dressed in green chili, habanero chili, Tabasco, or squid-ink sauce. 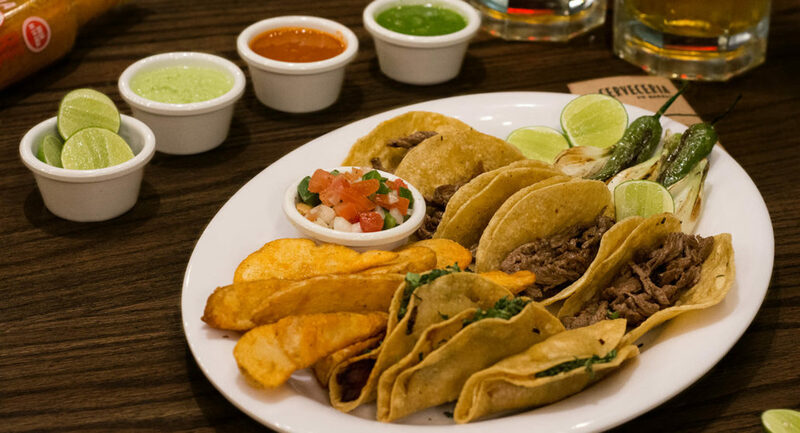 We also serve up a glorious span of empanadas, tostadas, and tacos, and reinforce our burger offerings with those irresistible Mexican sandwiches known as tortas. And we haven’t even reached our lineup of entrees, among them such delights as our Swordfish Al Pastor With Muenster Cheese, Blue Crab Carnitas, and Seafood Fondue (featuring Gulf shrimp, Mexican octopus, P.E.I. mussels, and calamari among its cheesy, saucy scrumptiousness). Our cantina offerings include a royal spread of libations to go along with your seafood appetizers and entrees, from ice-cold cervezas and various Mexican beer cocktails (micheladas) to fresh-made margaritas and top-quality mezcal. We couldn’t be prouder to have our very first stateside branch of La Cerveceria de Barrio join Tapas y Tintos, Mercado Della Pescheria, Havana 1957, Oh! Mexico, and Barsecco among the fabulous V&E restaurants in Greater Miami. We invite you to be among the first diners at this fun and welcoming casual Mexican seafood cantina, right in the heart of things on Lincoln Road!